I spend one quick weekend in Amsterdam, stopping over to meet my Belgian friend Arno before returning back to Belgium. The weekend was full of beer and bicycling, as I lost myself between all the canals and bridges of the charming city. I saw signs for “Amsterdam coffee shops” everywhere, packed full of tourists trying Amsterdam’s most famous product: strong weed. 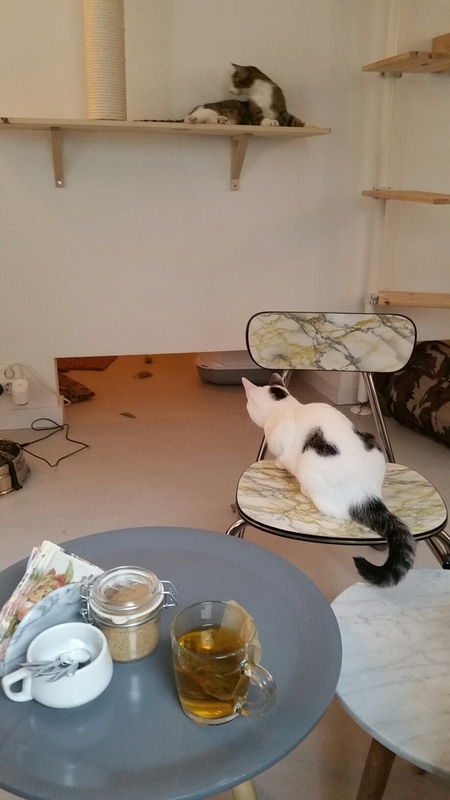 Cat cafes are exactly what they sound like: cafes, with cats that live in them. The concept started in Taiwan, but grew to be most famous in Japan. Sometimes, cat cafes are themed, and frequently they are associated with animal adoption charities. 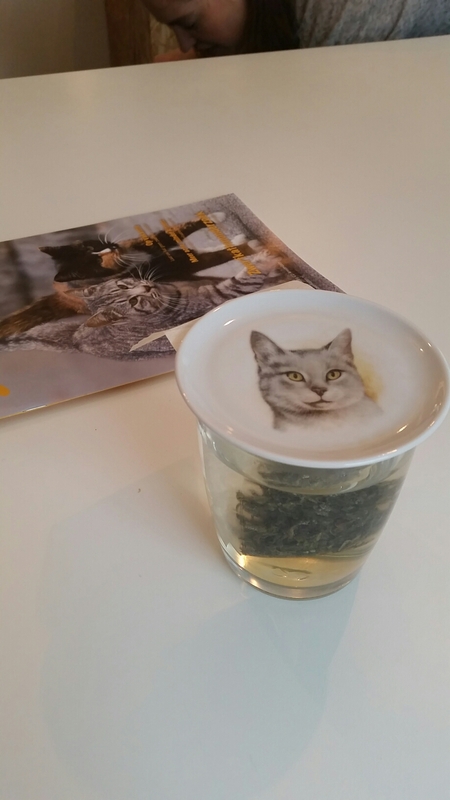 Kopjes, Amsterdam’s first cat cafe, is named after a clever word play: “kopjes” means both “cup” and also the “nuzzling” that a cat does. The cafe has only been open for a few months, but it is usually packed. The food and drinks are prepared in an exterior kitchen, then passed through a small window into the interior room, where the customers are surrounded by cats. There are seven cats in this cafe, each with a glamour shot and bio listed on the wall. They all come from the adoption center, but their permanent home is this cafe. The walls and floors are littered with boxes, perches, and scratch posts for the cats. They climb around, laze about, and occasionally do something that makes the whole cafe laugh. Entertainment is included in the price of the coffee. The cats themselves get more than enough attention from the patrons during the day. True to their species, they seem wholly uninterested in the caffeinated humans that are busy snapping pictures. But somehow, that’s what gives cat cafes, and indeed, cats, their charm. Corinne, I have been thoroughly enjoying all your blogs. It’s hard to believe you’re nearing the end of your adventurous year! I love hearing about the local foods and past times, especially from areas I’ll probably never see. And then there are those areas I have had the good fortune of visiting and your writings bring back many fond memories. Your comparisons to life growing up in the midwest are priceless, and sharing specifics such as the notes your mom left in your bagged lunches are heartwarming. Thanks for all of it, however we’re really looking forward to having you home again. Who knows what this next year will bring……..